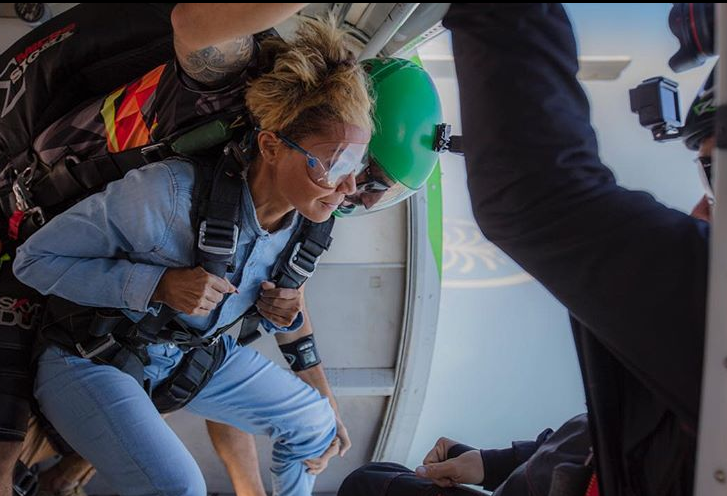 The 47-year-old actress jumped out of a plane and it was all for her hubby Will Smith. Apparently, Will asked Jada to jump out a plan in Dubai as a gift for his 50th birthday and she accepted. She jumped on the daredevil opportunity following Will bungee jumping out of a plane over the Grand Canyon. “He said this is my birthday gift to him. He was like, ‘I want you to come to Dubai and I want to see the two of you skydive That is what I want for my birthday,’” Jada told PEOPLE. “I was like, ‘Really bro?’ I haven’t done a damn thing Will has wanted me to do in seven years!” she continued. “I’m probably going to be really pissed off at him going up in the airplane and seconds before I’m thrown out of the plane, I’m going to be so freaking mad at him and then I’m going to be so happy when I hit the ground,” she said. “I’m not really adventurous in that way and he has been having his adventures and I told him, ‘These are the years — you’re turning 50, so this is the year of yes for me to you because I’m always telling you know,’ so this one year is a yes,” she said. The Hollywood veteran live-streamed the jump on his YouTube channel and it was hosted by his friend/"Fresh Prince" co-star Alfonso Ribeiro. The live-stream was used to help raise awareness and donations for Global Citizen's education campaigns. The next episode of Jada's "Red Table Talk" show is going to be extra good. Will is joining as the special guest and he's going to get real candid about the struggles he has endured during his 20+ year marriage to Jada. Peep the sneak peek above. Will spills the tea October 22nd. You be tuning in? 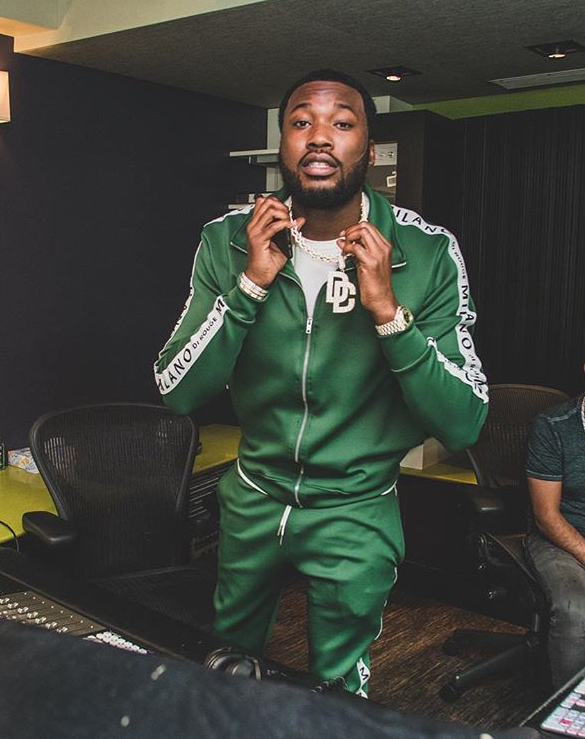 Rapper Meek Mill is gearing up to hit the big screen! And it's his first studio feature. He'll be joining Teyonah Parris (Chi-raq), Jahi Winston ("New Edition Story") and Will Catlett ("Love Is_") in a feature adaptation of 12 O'Clock Boys, a 2013 documentary by Lotfy Nathan. Jada will be producing the film under her Overbrook Entertainment banner along with Sony. @chino_mmg living his best life! The film is currently in production. We've seen the documentary and it was pretty good. Does it sound like something you'd watch?